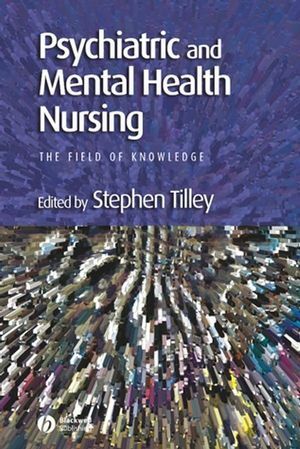 Psychiatric and Mental Health Nursing: The Field of Knowledge provides an analytical and critical introduction to the current state of knowledge in psychiatric and mental health nursing in the UK. The first section of the book explores current professional, disciplinary and educational contexts. In the second section leading UK authors from diverse academic settings provide case studies of the knowledge and scientific traditions they draw on to inform their practice, understand patient needs, and foster different aspects of nursing practice. In the final section the UK authors comment on each other's accounts. Those chapters and comments are then discussed by leading overseas academics to provide an invaluable international perspective. The final stage is a sociologically-informed analysis which identifies sociopolitical trends in order to make sense of the UK and international views. The editor then assesses the potential for intellectual integration and collective advance in psychiatric and mental health nursing. Stephen Tilley is a Senior Lecturer in Nursing Studies at the University of Edinburgh. Section 1: Background and stance on the problem of knowledge in the field. Section 2: Looking across the field: case studies of institutionalisation of knowledge of PMHN. 2. The Institute of Psychiatry: Nursing within the Health Services Research Department. 3. Fragile Tradition: Institutionalisation of knowledge of psychiatric and mental health nursing in the Department of Nursing Studies, The University of Edinburgh. 4. Nursing mental health at the Tavistock. 5. Mental health nursing: Principles in practice. 6. Shaping pre-registration mental health nursing education through user and carer involvement in curriculum design and delivery. 7. Involving individuals in mental health nursing education. 8. Models of mental health nursing education. Section 3: An analytic and critical commentary on the accounts in Section 2. 9. Reflective commentaries by the contributors to Section 2: each sees the field from within the field. 10. International perspectives on the state of knowledge of PMHN in Britain. 11. A sociologist looks at the field of knowledge.